Even though Long Tail Pro is one of the most useful tools in the market, there is still a fair amount of due diligence that one must do in order to benefit from it. The most important, perhaps is keyword research. Many people go into online marketing with the aim of driving more traffic to their site. However, experts advise that for one to make money from this increased traffic, it is important to go into it with a plan. Targeting the wrong keyword means all the time and effort will go to waste. Many people who use Long tail Pro only check to find keywords with traffic, then check to see whether these keywords can be ranked using the KC feature. They never really check their buyer potential. To make money from the traffic, one should be a little choosier with the keywords. Buyer keywords are those that searchers type into search engines with the intention of buying. This means they will already have done their product research and will be at a point where they are in search for that extra bit of information, that tipping point of whether to buy or not. 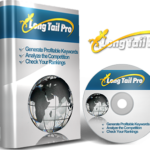 Long tail pro is a software that was developed by Spencer Haws. A point and click software, all one has to do is input their keywords and have the software collect related keywords from the Google Keyword Planner tool. This is the most common way people use, one through which many uncover keyword gems. 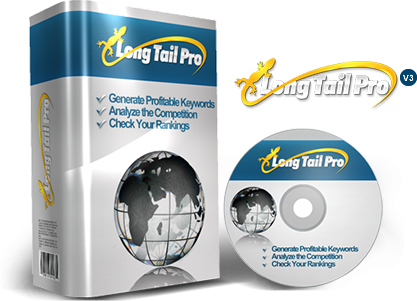 To get the most from Long tail Pro, enter the seed keyword and click on the generate keywords sections. In the past one had to click on exact match but this has changed, and the tool has now been set to the exact match default. The results will only take a few seconds, after which one can sort them, from the highest to the lowest search by volume. Start from the lowest end by volume, preferable anything over 10 for buyer keywords. Click on the KC calculate button to see just how difficult it would be ranking on the first page. KC is a calculator tool, showing the user the level of difficulty involved in ranking on the first page. KC, Keyword Competition in full, allocates keywords a number from 0 to 100. 0 means easy and 100 would mean nearly impossible. Typically, keywords that rank below 35 are good to go after. Finding keywords and writing articles around them is easy when using this tool. Soon, one will be generating traffic and making money from their blog. There is a catch when using Long Tail Pro, though. Even though it is easy to use and generates useful keywords and rankings, at the end of the day, everyone who uses the tool generates their keywords from the same source, which means there is no differentiation. To get that extra advantage from competitors, generate keywords from a different source. Users should however note that only the pro+ platinum version has the KC tool. One can easily upgrade to the platinum version though. With Long Tail Pro, you can be able to calculate the competitiveness of a keyword and in turn optimize the same into a phrase. Keyword competitiveness is very fundamental to the internet marketing platform since keywords that are mostly used by competitors lack the punch to drive traffic and increase sales in return. Calculation of keyword competitiveness is therefore principle in ensuring that the keywords that are chosen for use pack the power to attract traffic and raise ranking on search engines. Filters can be applied to keywords to ensure any spam or irrelevant keywords and phrases are avoided. This aspect of the Long Tail Pro tool is very critical since it is what ensures that the keyword phrase to be used is significant and in the right frame to resonate with the target market. Updates always make a tool effective and in the right capacity to adopt the demands of the SEO world. With this tool, users get to have free lifetime updates which makes for a very significant benefit. The updates guarantee that any developments in the search engine structure and control are incorporated to the tool which ensures the provision of quality service. With most keyword research software, monthly payments are the norm but with this tool; users get to only make a one-time payment to cover the use period. This proves to be good value for money since it reduces the operational costs while maximizing the service. This has to stand out as one of the most notable advantages that users can enjoy. Free access to a dedicated support community gives users the chance to get support and share their experiences with the rest of the users. This not only aids individuals get a better understanding but also facilitates the solving of any issues that arise in user efficiency thereby improving overall user experience. This is another major upside since it enables users have the capacity to track the ranking of the keywords and phrases that they utilize. This feature works on the principle of capturing rankings of keywords on the search engines to give you the exact setting which aids in evaluating the impact of a keyword phrase. With Long Tail Pro, users can be able to assess competition and identify the correct strategy to utilize in combating the impact that competitors have. This is important since it ensures users get to create unique keyword phrases that will transform the niche. Compared to other keyword research tools, this particular software ranks as being of good value for money. It is cheaper than most tools and works effectively and with the same high success rate as the other tools. Long Tail Pro is significantly fast when considering the other tools in the same operational niche. Other tools which are charged as being sluggish and with a poor result generation rate cannot compare to the sleek and fast nature of this tool. Most of the updates that are made on Long Tail Pro are not transformational in the sense that they do not affect the operational aspect of the tool or the overall working of the database. The updates do not also change the interface of the user which means the updates usually have little effect on the core working of the tool. With a new or existing campaign, incorporating seed words becomes a difficulty since the tool does not respond with the right channel of systematic build up and hence getting results for the adjustments you make with seed words become difficult. Though it does not affect the working of the tool it proves to be frustrating to a user. Information collected on the assessment of the competition is not provided in data form which does not effectively give a clear perspective on what the magnitude is and how to combat the same. This limits the level of action that can be taken.